The Perez Chapel International has a Pentecostal and Charismatic orientation and believes in the totality of the Bible. The Perez Chapel International, formerly known as the Word Miracle Church International started in Tamale, Northern Ghana on 29th March 1987. The Ministry has its International Headquarters located at the Perez Dome, Dzorwulu Junction, Accra, Ghana. The Perez Dome is also the seat of the Presiding Bishop, Most Rev. Dr. Charles Agyinasare. To be a global family church that glorifies God, and reaches the world with the compassion of Christ and the power of the Holy Ghost. We are a Charismatic and Pentecostal church that seeks to reach the world through the preaching of the gospel, accompanied by the power of God. Our passion for souls drives our unique services, our home cell groups and our various outreaches to win our communities for Christ. We believe in the deity of Jesus Christ, His substitutionary death for all men, His resurrection, and His eventual return to judge the world. We believe that salvation is available to all who will receive Jesus Christ as their Lord and personal Saviour. We believe in the existence of the Holy Spirit as the Third Person of the Trinity. We believe in the baptism of the Holy Spirit. We believe in the Scripture as the inspired Word of God and it is the revelation of God’s will for mankind. We believe in divine healing and that Jesus is the Healer. 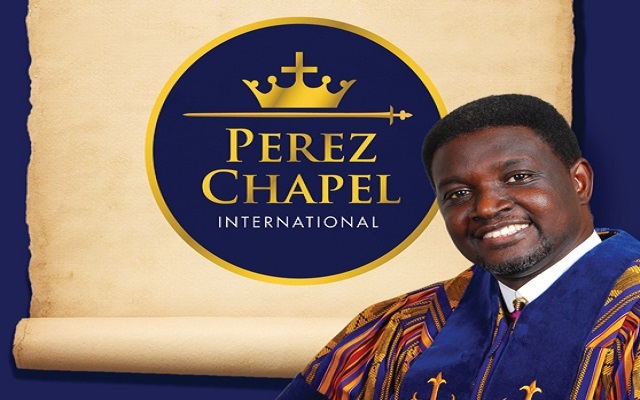 Perez Chapel International – Bishop Charles Agyinasare. The Perez Chapel International was founded as part of the audible voice of God which said to me in 1983 after crying and weeping for my powerlessness to reach my generation. God spoke to me on two successive occasions in a matter of four days. On the first occasion He said to me: “My boy Charles, I send you out as I sent Moses; go and I will put my words in your lips and reach the world for me.” On the second occasion which was the fourth day He said “My boy Charles, I give unto you power over demons and principalities, heal the sick, raise the dead, preach the Kingdom” – Most Rev. Dr. Charles Agyinasare.